Why is this? Is the Church trying to again be difficult? Nope. Everything the Church does is for the best of all people involved. 1) The person giving the eulogy (and, by extension, any of their family who know they are going to be giving the eulogy) are nervous throughout the funeral and can't really simply enter into the prayers, readings, etc. because they are thinking about what they are going to say. 2) The funeral has a beautiful flow to it, and each moment leads to the next, and their is a wisdom behind the flow of a funeral Mass that comes to us from centuries and millennia of experience. EVERY TIME I've interrupted the flow to have everyone sit down to listen to a eulogy, it has felt like a healthy process and movement of the liturgy has been completely interrupted and thrown out of whack. 3) The homily (hopefully) helps the people get a good dose of authentic Catholic teaching and comfort about death and life. There is no way to control what is said in a eulogy. In addition to the potential of inappropriate things being said, there is also often times a spewing forth of a lot of false theology, song or movie quotes, confusing and frankly sometimes completely wrong understandings of death. Because of all of this the place for a eulogy is at the showing. 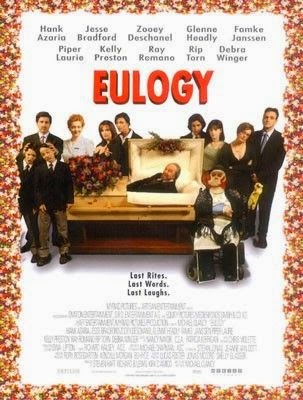 Every family that I have helped guide toward doing the eulogy or eulogies at the showing instead of during the Mass has been thankful for the suggestion when it was all over with. As mentioned below, the Church holds the anniversary of death to be an especially important time for those who remain behind to mourn the loss of a loved one. Believe it or not, the Church places a GIGANTIC emphasis on the FIRST Anniversary of death, even more so than other anniversaries of death. The "First Anniversary of Death" is such an important time, pastorally speaking, that the Church allows a "Mass for the Dead" (where the person's name is mentioned 4 times throughout the Mass) virtually any day of the year. "[A] Mass for the Dead, [on] the first anniversary, may be celebrated even on days within the Octave of the Nativity of the Lord, on days when an Obligatory Memorial occurs, and on weekdays other than Ash Wednesday or the weekdays of Holy Week." That means that a "Mass for the Dead" can be celebrated on any day outside of solemnities and feasts. The first anniversary Mass can be celebrated during the weekdays of Advent and Lent and also during the Christmas and Easter season. That is a HUGE statement by the Church, and it is quite clear what the Church is saying: "The first anniversary is a time when the passing of a loved one is especially vivid, and so a Mass to pray for the deceased on that first anniversary is allowed on virtually any day in the Church's calendar." Again, this is the Church being pastoral and reaching out to people, so it is sad to see that most parishes do not extend this to parishioners as an option. Again, it is much more pastoral for the loved ones left behind to have the Mass prayed for the deceased, as opposed to simply seeing them in the bulletin as the Mass intention. Finally, the same thing applies to the first anniversary Mass with regards to vestment color - a person should be able to request that the priest wear either black, white, or violet. The Church holds it to be a worthy custom to have a Mass said on or as near as possible to the anniversary of the death of a loved one. The Mass on an anniversary of the death of a loved one is supposed to be offered at your parish at your request. 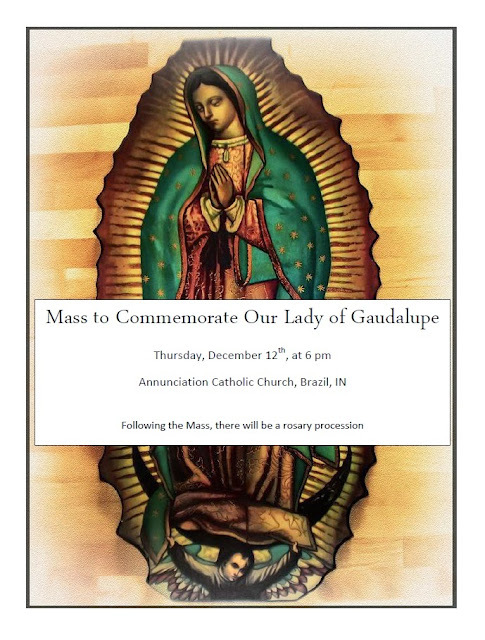 It may not be able to be offered on the day of the anniversary, but provisions should be made to offer the Mass as close as possible to the anniversary of the death. At this Mass, the deceased is to be mentioned 4 times - during the opening prayer, during the prayer over the gifts, in the Eucharistic Prayer, and in the closing prayer. The deceased could also be optionally named a fifth time in the petitions. In addition, the person requesting the Mass is supposed to have the option to have the Mass said with the priest wearing black, white, or a violet vestment, and it is supposed to be up to the person requesting the Mass, NOT according to what color the priest happens to like or not like. 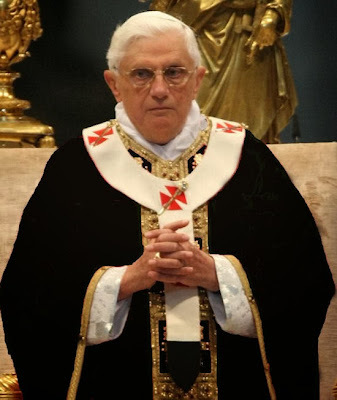 It should be noted that in the typical American parish, if you went in and asked to have a Mass said for a deceased loved one or friend on the anniversary of their death, and you requested that the priest wear a black vestment, you should prepare to be assaulted by the priest. Nonetheless, a Mass for the dead, using the prayers in the Missal for such an occasion, including the Eucharistic Prayer, with the priest wearing either white, violet or black is what the Church clearly envisions. other Offices and Masses for the Dead in the Dioceses of the United States of America." The Mass is not more "beneficial for the deceased" because their name is mentioned more frequently at this anniversary Mass for the dead, but it is more comforting for those of us left behind to hear our loved one mentioned by name in the prayers of the Mass. I am saddened that priests who are touted as having a "hugely pastoral heart" will often refuse to offer anniversary Masses for the dead, even though they often bring much more comfort to the living than simply seeing their loved one printed in the bulletin as the Mass intention for the day. "Pope Benedict, why in the world are you wearing a black vestment? It is so depressing!" 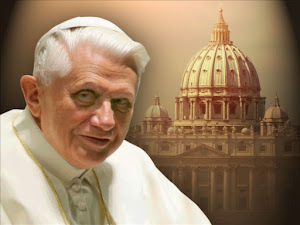 Pope Benedict: "Maybe because death is sad, and the Church is okay with sadness." "The cremated remains should be buried in a grave or entombed in a mausoleum or columbarium. 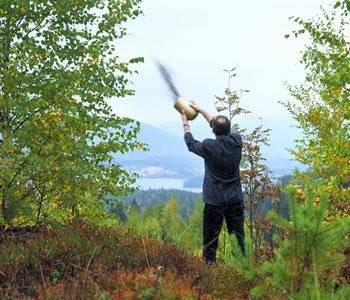 The practice of scattering cremated remains on the sea, from the air, or on the ground, or keeping cremated remains in the home of a relative or friend of the deceased are NOT the reverent disposition that the Church requires." Remember, in our Catholic teaching, we have the 7 Corporal Works of Mercy. One of them is "To bury the dead." Scattering Aunt Edna to the wind is not a corporal work of mercy. The body of a deceased Catholic Christian is also the body once washed in baptism, anointed with the oil of salvation, and fed with the Bread of Life. Thus, the Church's reverence for the sacredness of the human body grows out of a reverence and concern both natural and supernatural for the human person. The body of the deceased brings forcefully to mind the Church's conviction that the human body is in Christ a temple of the Holy Spirit and is destined for future glory at the resurrection of the dead. This conviction in faith finds its expression in a sustained and insistent prayer that commends the deceased person to God's merciful care so that his or her place in the communion of the just may be assured. A further expression is the care traditionally taken to prepare the bodies of the deceased for a burial that befits their dignity, in expectation of their final resurrection in the Lord. 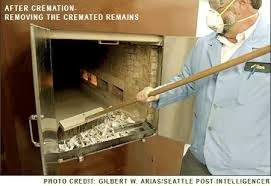 What the Church envisions is that ideally, if cremation take place, it take place AFTER the funeral Mass. The Christian life is like a race...but what does that mean? 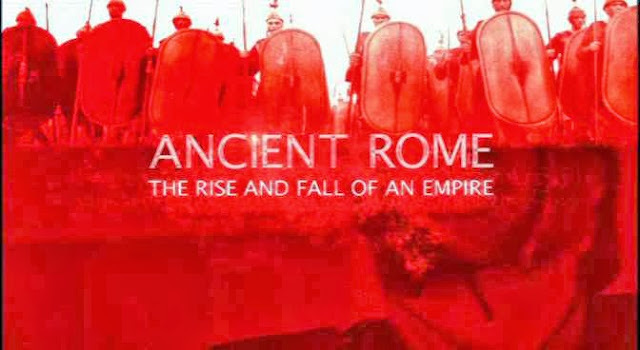 As I look around at what is going on in our country, I've felt, over the past few years, that I need to become more educated about what was going on in Rome in the years leading up to its utter collapse. I know enough history to know that it collapsed from the inside, and I've heard and read enough references to know that there was a serious cultural decay in Rome prior to its disappearance as a civilization. My brother Tony passed this quote on to me when he heard about the dust-up on this blog concerning "overpopulation." It looks like the Romans were tiring of children just as our society is today. This quote made me think of a story I heard on NPR a few years ago where Singapore, where, for many decades, the laws forced population control and limited the births of children so the country wouldn't "run out of room" has recently passed laws that PAY PEOPLE TO GO ON DATES in an attempt to get people to have children again as a collapse appears imminent in their social structure due to years of not having children. God: please save us from ourselves. Help us some day to eventually trust in you and your plan! The Blessed Sacrament is now on reserve at St. Vincent Hospital in Clay County, IN. The eternal flame now burns at two places in Clay County, so stop by and pay our Lord a visit if you are ever in the area. Thanks to Jerry Laue, the President of St. Vincent Clay and also chaplain Doug Givan for helping make this happen. I wnt to the woods because I wished to live deliberately, to front only the essential facts of life, and see if I could not learn what it had to teach, and not, when I came to die, discover that I had not lived. Off of Joss Whedon's "Much Ado About Nothing"
Planned Parenthood thinks its only enemy is the Catholic Church, and rightly so. Now, from PP's minions, comes this article. Click here to read the article. It is titled "Do Bishops Run Your Hospital?" 3) Planned Parenthood, in the last 6 years, has had arguably more influence on hospitals and health care in our nation than any other organization, religious or not. 4) Planned Parenthood owns no hospital, yet they seek to influence what happens at them? Thankfully in this country, for the moment, we all still have a say, and thankfully, for the moment, bishops in the United States of America have a say as to what types of procedures are immoral at Catholic hospitals. How much longer that continues will depend greatly on whether or not people get active and push back. This is a good one from CatholicMemes.com - I love the sports analogy. Unnatural Law? Teaser Trailer from Blackstone Films on Vimeo. A reader asked me to pass this request on. Can you help? We need your help at My Year of Faith! During the month of November, as we celebrate the final days of the Year of Faith, we'd like to feature stories from about the blessings and fruits you've experienced during this year. How did you celebrate? What did you do to grow in faith? How did your relationship with Christ and His Church deepen? Send us your stories and reflections to myyearoffaith@gmail.com along with your contact information, and your reflection could be featured here on the blog in November! Submissions should be under 500 words; deadline for submissions is October 31st. If you haven't seen it, stop reading! Just as the Catholic Church believes that beauty (artwork, beautiful churches, beautiful music, etc.) draws people in, so did the creators of "Gravity" realize the same thing. People are flocking to the film because of its "cinematography" and its "beautifully stunning images"...and that is fine. Beauty is done for its own sake, but it is has a side benefit of also drawing in people who otherwise would not stop in. 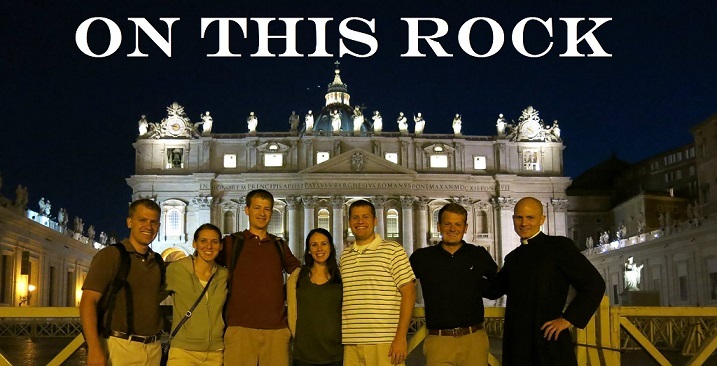 For example, a "drunk" or a young man who has no morals and is sleeping around with every girl in high school would never stop in to St. Peter's Basilica to go to Mass, but they might to check out the beauty they've heard about. Gravity is beautiful, and so lots of people are going to see it. The Church is called to cultivate beautiful things because 1) beauty is a good thing and 2) beauty attracts even heathens. I know, I know, the Church reads way too much into stuff. 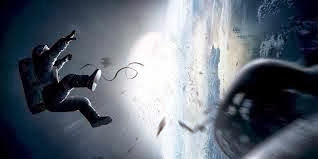 Maybe the filmmakers wanted to just make a film about space chaos and a successful crash landing...but I could not help seeing a deeper symbolism to the film. First of all, you have the floating around in space. It can't be an accident that in what little dialogue the film has we learn that Sandra Bullock doesn't believe in God, or at least that she's never prayed. A life apart from God, whether intentionally rejecting him through sin or from simply not knowing Him, is like zero gravity existence....things just float. There is no reference point, there is nothing that I am tethered to...and every child wants to be untethered from his parents...until it happens. Similarly, zero gravity floating, coasting, just existing...it is livable until the chaos hits. When all the pieces of debris slam into Bullock and the crew, all Hell breaks loose. Merely existing...floating along...just doing enough to get by...is fairly quiet until tragedy strikes, and then it is utterly disorienting. Tragedy and adversity is hard enough when you know which way is up, but when you have nothing to orient your life by, no "ground to stand on" then it is scary as Hell! Secondly, "Gravity" is about Baptism because Bullock crashes into water, is starting to drown, and there is the beautiful scene where she has to shake off all of her space suit that is weighing her down, so that she's basically naked (nothing but her astronaut underwear). That's baptism folks. We are submerged in water (in the early Church you were naked) and then you came to the surface a Christian. Thirdly, Bullock floats to shore, but she struggles to stand since she hasn't used her muscles in a while. When we are new Christians, we stumble out of the stall like a newborn calf. Forthly, the movie ends with Bullock looking at the mountain and the land and the beach as if it is a place she always knew (Earth) but is now "seeing things for the first time," as the Black Crowes sing. When we are baptized, we are still part of the world that we knew before, but at the same time the world starts to take on a new look. Chesterton says it best: "What could be more glorious than to brace one's self up to discover New South Wales and then realize, with a gush of happy tears, that it was really old South Wales?" This is a fascinating point - what an awesome realization when you see the same place you've always lived in a completely new way! That is precisely what happens to the Catholic...and indeed for saints this "seeing the world in a fresh way" happens quite frequently not just throughout one's life, but throughout the DAY! I think anyone who is preparing for the Easter Vigil Baptism into the Church should check out Gravity. It is both beautiful in and of itself, but also seems to have a beautiful analogy to the Sacrament of Baptism underneath the surface of the story. Was Jesus Speaking Metaphorically? Literally? Both? Who knows? Does it matter? Concerning the Biblical teachings of Christ, who decides for you which ones Jesus meant literally and which ones were not literal? That is a HUGELY important question. "Unless you eat the flesh of the Son of Man, you will not inherit eternal life"
"On this rock, I will build my Church"
If you think about it, it all comes down to what things we believe Jesus meant literally, and what he didn't teach literally. The question thus becomes..."Who helps you decide what Jesus taught literally and what He taught metaphorically?" Catholics rely on the interpretation of the Apostles and early Church Fathers, those men who walked with Christ and served the Church from the outset. Catholics rely on an unbroken tradition of understanding the teachings of Jesus, and which ones were literal and which ones were metaphorical. Protestants rely on men from the 1500's, Martin Luther, John Calvin, King Henry VIII, etc. to help them decide which phrases Jesus meant literally and which ones he didn't mean literally. If a lot of our Faith comes down to such a crucial question, why do so many turn for help to men who came along 1500 years after Christ who all believed that they suddenly got Jesus right after people had been getting him wrong for 1500 years? 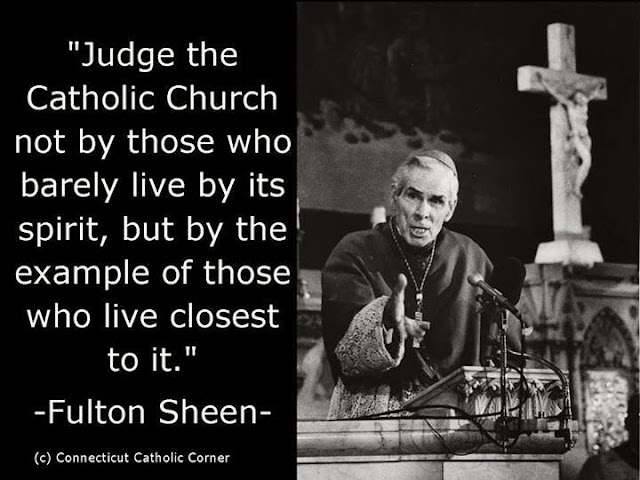 I'm going to stick with the Church Fathers, the Apostles, St. Paul, etc. on this one. Who is your guide as to what Jesus meant literally? No matter how much despair we may feel when looking around at the world we live in, it pales in comparison to the despair the Apostles felt when they witnessed or learned of Christ's death. For Catholics who uphold the entire Compendium of Catholic Social Teaching, Notre Dame still marks a major event in American Catholic history. Pro-life congressmen and women were offered ZERO opportunity to help craft the Obamacare legislation, and instead, from the womb of the oval office, from a health care war room where Cecile Richards of Planned Parenthood was given a major chair, a law was dropped on the American public. Now, as pro-life congressmen and women attempt to have their first say about Obamacare using the only option they've been allowed to take, how does one NOT turn back towards Notre Dame in 2009? And so it is worth asking Catholics who voted for Obama - "How's that sensible conscience clause looking now?" It would at least start the healing if Fr. Jenkins would come out and admit that it was a mistake to give him an honorary LAW degree, now that President Obama has attempted to craft a LAW that would force Notre Dame to violate its Catholic core principles. Thank God that someone is standing up and trying to overturn this abomination of a bill. Is healthcare for all a good idea? - yeah. Does it have to be this moral travesty that was birthed by Sebelius, Cecile Richards, Nancy Pelosi and President Obama? - negative. "BUT BUT BUT!!! Our economy might collapse" cries the President. "The words and habits of religion are easy. We can sometimes use them to fool ourselves. We need to drill down below the counterfeit Christianity so many of us prefer into the substance of who we are and what we really treasure. We need to let God transform us from the inside out, and conversion requires humility, patience and love. It requires letting go of the desire to vindicate ourselves at the expense of others. So much of modern life, even in the Church, is laced with a spirit of anger. And anger is an addiction as intense and as toxic as crack."